Michigan’s state fair has lost money in 22 of the last 25 years. It made a $28,000 profit in 2002 but may be on the hook for an additional $900,000 in maintenance and utility expenses in 2003. 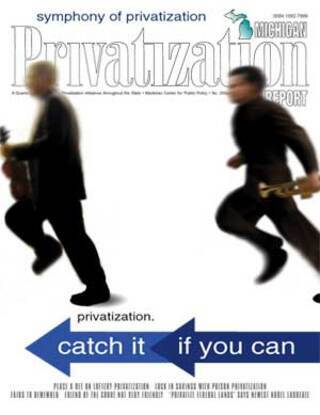 Why not privatize? Besides mom, baseball and apple pie, what could be more American than the summer fair? When people think wistfully of our nation’s history — especially our nation’s earlier history — they remember a society centered largely around agriculture. For much of America’s history, farming was the anchor of economic and social life, and it is from this life that state fairs evolved, more than a century ago. Times have changed, however. Since 1910 the number of people making a living doing farm work has dropped 78 percent. In addition, today’s Americans have a host of entertainment options to lure them from annual fairs. As a result, government sponsored fairs have been running in the red across the country. With state and local governments facing tight fiscal times, what will happen to this American tradition in Michigan and elsewhere? Some fairs may need to be privatized. Others will need to evolve and become more attractive to the people they wish to serve. Clearly, fairs need not remain a province of government for people to enjoy this tradition. Why not sell the state fair in Detroit to the highest bidder? In Michigan we have several options: Retain the fair as it is along with indefinite taxpayer subsidies to support it; contract out for management and improvement of the fair; or sell it off entirely. A strong case can be made for the third option. Michigan’s state fairs (located in Detroit and Escanaba) are cases in point. Rather than continuing to subsidize them, Lansing should sell the state land on which the two fairs operate and give private entrepreneurs the opportunity to either run their own state fairs privately, or use the land for some other purpose. According to the Michigan Department of Agriculture’s official web site, Michigan had the first state fair. Originally held in a different city each year, it has been located at the corner of Eight-Mile Rd. and Woodward Ave. in Detroit since 1905. Covering the losses of this fair has required supplemental appropriations from state government. The state fair has been an almost unremitting drain on state coffers. Indeed, from 1970 to 1995 alone the state fair in Detroit lost an annual average of $2 million. That’s the bad news. The good news is that last year the state fair managed to eke out a $28,000 profit — evidence that it may be able to survive as an entity independent of state government. Of course, this meager and rare profit is not enough to cover all the state fair’s costs. The state fair also requires capital improvements — new buildings, for instance — which are not part of the fair’s official state appropriation. This means that fair officials would need to make far more money than they do now to cover physical improvements to fair grounds. One reason the state fair has improved its bottom line in recent years is then-Gov. Engler’s 1993 appointment of Macomb County Commissioner John Hertel, a Democrat, to run it. His mandate was to improve the event and keep it self-sustaining. The situation forced Hertel to innovate, which led him to privatize maintenance, a move that saved the fair $500,000 annually and improved the appearance of the grounds. Hertel took an even more dramatic step. In April 2000 the state approved a management deal with southeast Michigan developer Joseph Nederlander that would reshape the state fair with $200 million in new investments. According to reports in Crain’s Detroit Business, the state and Nederlander envisioned $80 million in fairground redevelopment and an additional $120 million in related investments that would bring “new housing, theaters, hotels, restaurants, and stores” to property adjacent to the fair. The lease agreement fell apart and the state is back to managing the fair. The Michigan Department of Agriculture (MDA) has not given up on the idea of a public-private partnership and is currently examining other possible lease relationships with private developers. Even if the state were to remove itself from fair involvement, it would hardly result in a dearth of fair fun. Seven Michigan counties and another 80 communities and associations run their own fairs, too. Indeed, Ottawa County alone has three different community fairs. In addition, Barry County’s Bill Ackerman has run a private, for-profit fair for 24 years. The “Prairieville Old Fashioned Farm Days Show Grounds” plays host to nearly every imaginable fair event every August. Animals are on display for show and racing; there are craft shows, dancing, live country music, and a “National Truck Pull” competition. It even hosts a cow-chip golf-ball driving contest. Private fairs outside Michigan draw large crowds, too. Ackerman’s private fair is held on 140 acres of land he owns. His fair is so popular it often fills the 3,000-space camping area set aside for overnight guests. 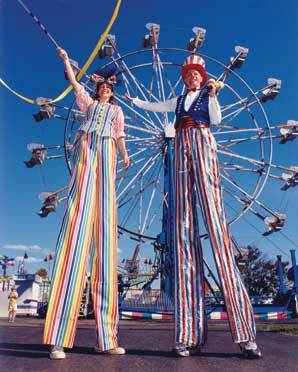 Clearly, fairs need not remain a province of government for people to enjoy this tradition. Why not sell the state fair in Detroit to the highest bidder? It is impossible to tell precisely what the state fair property would sell for without actually offering it for sale, but we can form a general idea of possible sales prices by examining data from purchase offers made on properties adjacent to the fairgrounds. The state’s 2000 investment deal could have netted $10.5 million for the sale of 36 adjacent acres. The fairgrounds are 5.5 times larger. Is the potential for a $57 million payday worth exploring a sale of the fair land and its buildings? Michigan also could sell its Upper Peninsula State Fair in Escanaba. This fair was created by the Legislature in 1927 and its 2002-2003 appropriation is $1,214,400. This figure does not reflect the likely supplemental appropriation the U.P. fair will need to stay afloat. In the last fiscal year the U.P. State Fair required a General Fund/General Purpose subsidy of $177,900. Although the sale of the U.P. fairgrounds would generate far less revenue than the fair in Detroit, its sale still would generate a sum worth considering. According to Kevin Dubord, assistant assessor for the city of Escanaba, land just across the street from the fair sold two years ago to Gordon Foods for $2,000 per lineal foot of street frontage. The U.P. fair has 1,300 lineal feet along the same road. At $2,000 per lineal foot the U.P. fair land might fetch $2,600,000. When a reporter recently asked Gov. Jennifer Granholm if she favored the sale and privatization of Michigan’s State Fairs, she replied like a state governor facing a $1.8 billion budget deficit. “Everything is on the table,” she said. To help close the deficit, the new governor and Legislature may be looking more closely at fairs, to decide whether they truly are a legitimate function of government. Michael LaFaive is director of fiscal policy for the Mackinac Center for Public Policy and senior managing editor of Michigan Privatization Report.